This post is brought to you by FonePaw, creator of iPhone Data Recovery. Accidentally delete important iPhone files? Encounter a fatal failure while jailbreaking your iOS device? Experience a hardware or system malfunction? iPhone Data Recovery can snap you out of this all-to-common data nightmare quickly. FonePaw iPhone Data Recovery then scans, previews and recovers all your lost data. The scanning is quick, and your messages/pictures/etc. can be shown during the preview process. This iPhone data recovery software gives you flexible solutions for restoring lost data from your iPhone, iPad or iPod touch running the latest iOS 8 as well as previous versions. 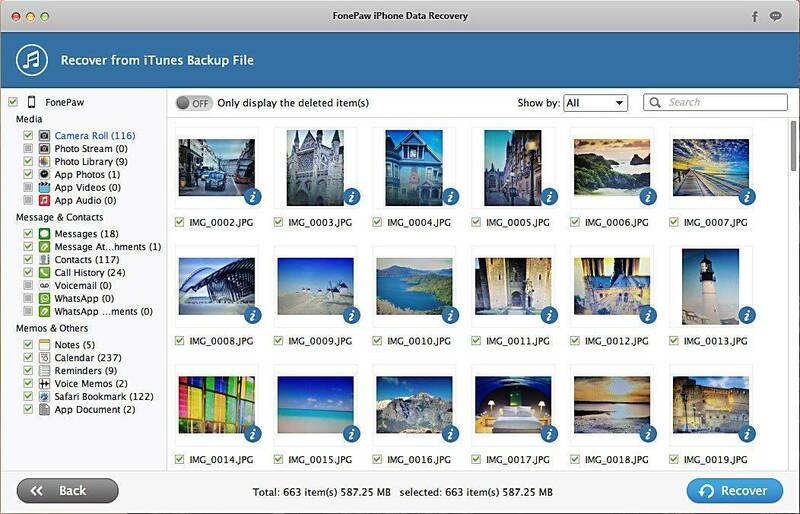 FonePaw iPhone Data Recovery can recover deleted photos, videos, contacts, messages, etc., even if your iPhone 6 Plus/6/5s is damaged or dropped into water. It can even retrieve deleted data from WhatsApp and other apps. It’s safe and requires no plug-ins. 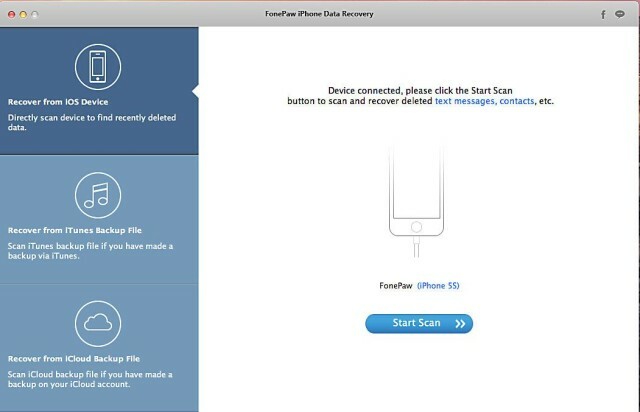 Recover from iDevice directly: Simply plug in your compatible iPhone/iPad/iPod touch into your computer (Mac or Windows) and launch FonePaw iPhone Data Recovery. You’ll be able to recover contacts, photos, messages and more from your iOS device, even if it has been damaged or dropped into water. Recover from iTunes backup: iTunes will automatically create a backup for your iDevice every time you connect it to your computer. When you want (or need) to restore data from iTunes, iPhone Data Recovery will recover all types of data from the iTunes backup files in just a few clicks. Recover from iCloud backup: iCloud will back up photos, contacts, messages, etc., when your device connects to Wi-Fi, and you can extract iCloud backup files to recover what you want. You simply need to sign in to iCloud with your Apple ID and password from within FonePaw iPhone Data Recovery, and the software will do the rest for you. No matter which mode you choose, FonePaw iPhone Data Recovery recovers your lost files quickly, so your data disaster will be over before you know it. You can get a single-user license for iPhone Data Recovery, which allows you to restore data on up to six iOS devices, for $79.95. A multiple-user license for up to five computers costs $199.95. Both licenses come with free lifetime updates. You can download the Mac version (.dmg) and the Windows version (.exe) directly from FonePaw.